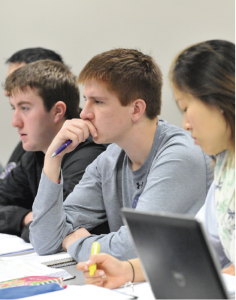 The University of Scranton graduate programs are once again ranked among America’s best by U.S. News & World Report in its 2019 edition of “Best Graduate Schools” that published online March 20. 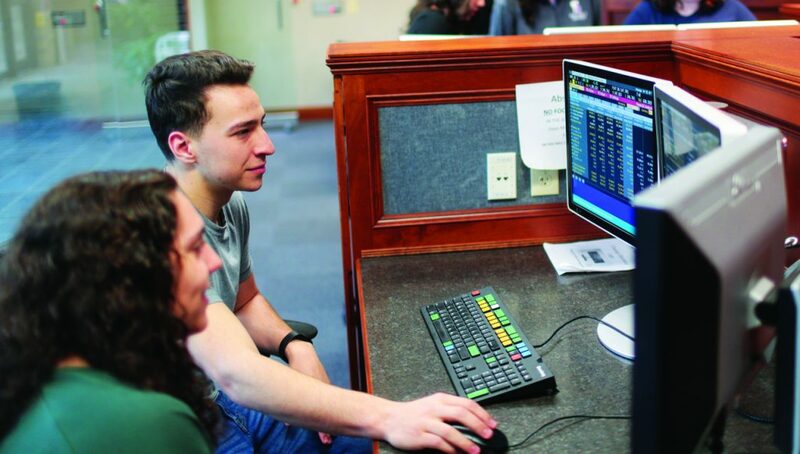 Scranton’s part-time MBA program ranked No. 74 in the nation and its graduate program in nursing ranked No. 98. 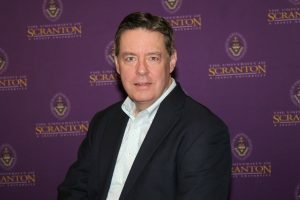 Several of Scranton’s master’s degree programs were among additional graduate program rankings published on the U.S. News website, including rehabilitation counseling (No. 24); healthcare management (No. 42); physical therapy (No. 53); occupational therapy (No. 58); and nurse anesthesia (No. 65). 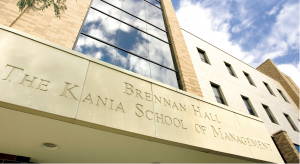 U.S. News also ranked Scranton’s MBA program specialties in production operations (No. 15); information systems (No. 20); finance (No. 23); and accounting (No. 28). The University’s graduate-level business programs include a Doctor of Business Administration (DBA), Master of Accountancy (MAcc), Master of Science in Finance (MSF) and a Master of Business Administration (MBA) in general management or with a specialization in accounting, enterprise resource planning, finance, healthcare management, international business, management information systems, marketing and operations management. The University also offers combined/accelerated bachelor’s and master’s level programs including accounting BS/MBA, operations management BS/MBA, finance BS/MBA, management BS/MBA, and College of Arts and Sciences Bachelor’s/MBA. Graduate nursing degrees offered by Scranton include Adult-Gerontology Clinical Nurse Specialist, MSN; Family Nurse Practitioner, MSN and post-master’s certificate; Certified Advanced Practice Nurses, MSN; and Nurse Anesthesia, MSN and post-master’s certificate. Scranton also offers a Doctor of Nursing Practice (DNP), which was listed as unranked by U.S. News. All of the University’s graduate programs hold the highest national accreditation within each discipline, including accreditation by The Association to Advance Collegiate Schools of Business (AACSB International) for business and accreditation by The Commission on Collegiate Nursing Education (CCNE) for nursing. Earlier this year, U.S. News’ “Best Online Programs” publication ranked the University’s online graduate degree programs in business (excluding MBA) at No. 83; graduate education programs at No. 101 and MBA at No. 108. in the nation. 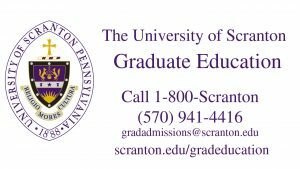 To learn more about graduate programs at The University of Scranton, click here.